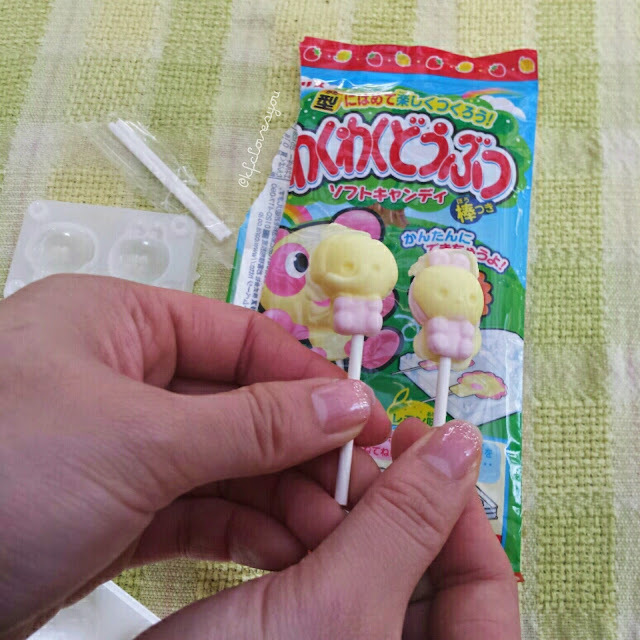 One of my favorite things about Japanese candies and snacks is how kawaii (cute) they make everything! Look at this packaging! How can you not want to try it out?! 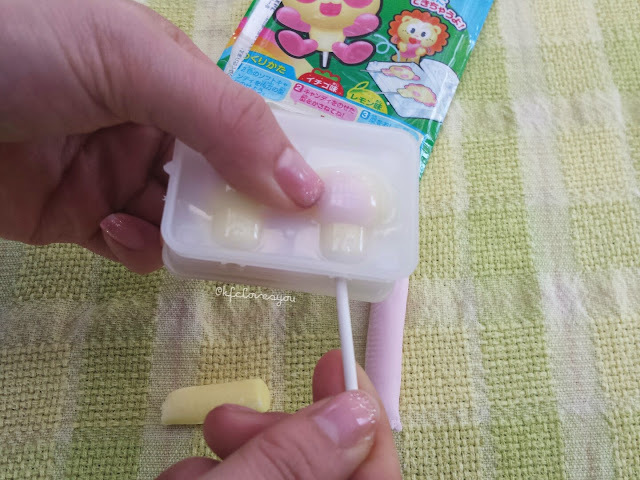 The one thing I really enjoy most about some of these candies is that they are D.I.Y. so they make excellent gifts for little kids and great for stocking stuffers. There's more fun making them than actually eating them, in my opinion. 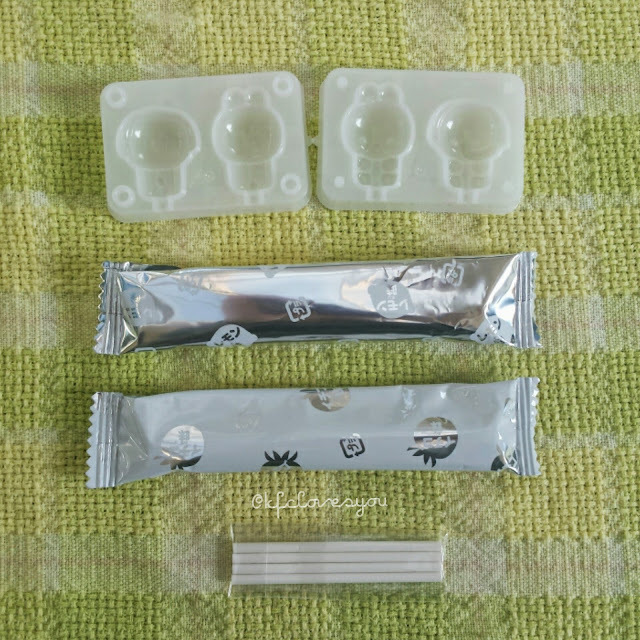 The DIY candy I have to share today is by the brand Coris who are known most for their whistle candy. I haven't seen many of their DIY stuff, but they're similar to some of the Kracie brand ones out there. The pictures really helped figure out what to do. Since it doesn't require water or a microwave, it is easier to follow. 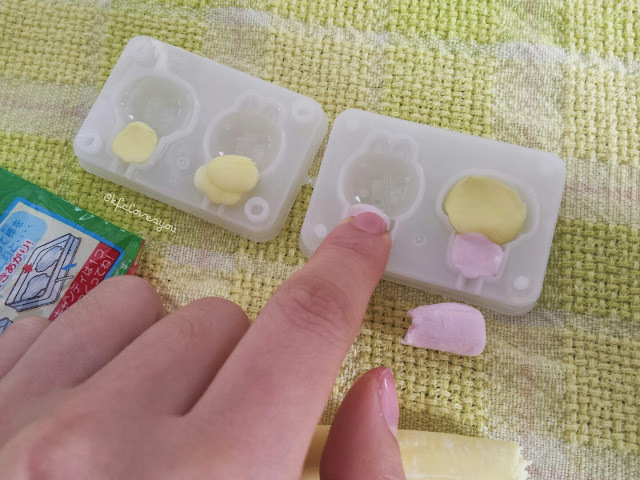 1) Take some of the pink and yellow soft candy and fit them into both sides of the mold in whatever pattern you would want. 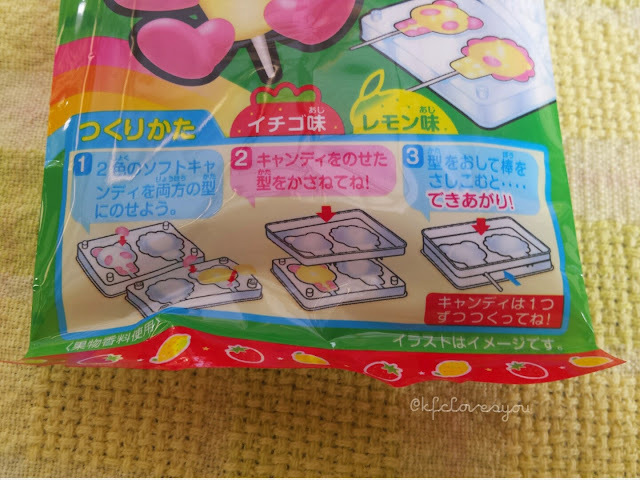 2) Press the two molds together nice and tight so the product is nice and compressed. 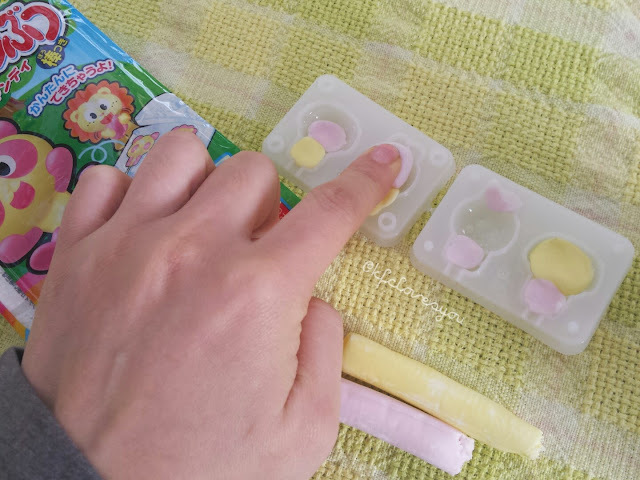 3) Insert the candy sticks provided in the designated spots and make sure they are in at least halfway. 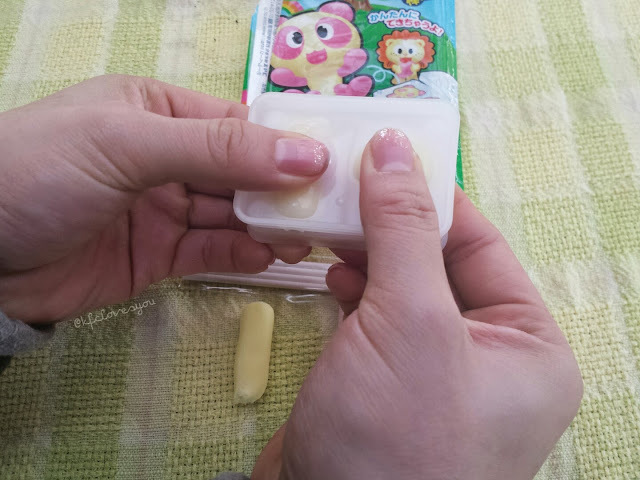 4) Open the mold and voila! 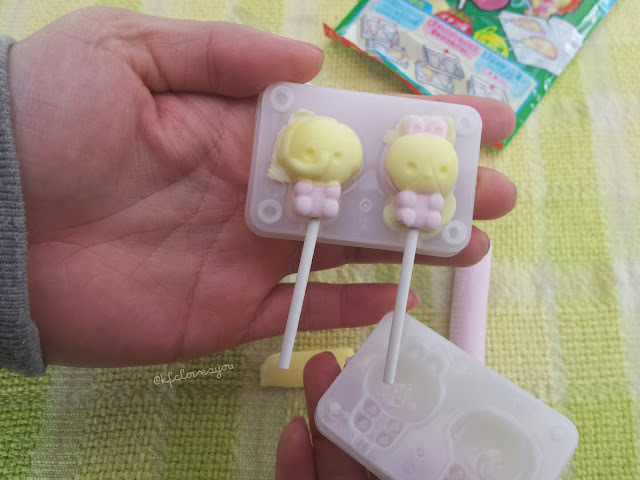 DIY Candy on a stick! 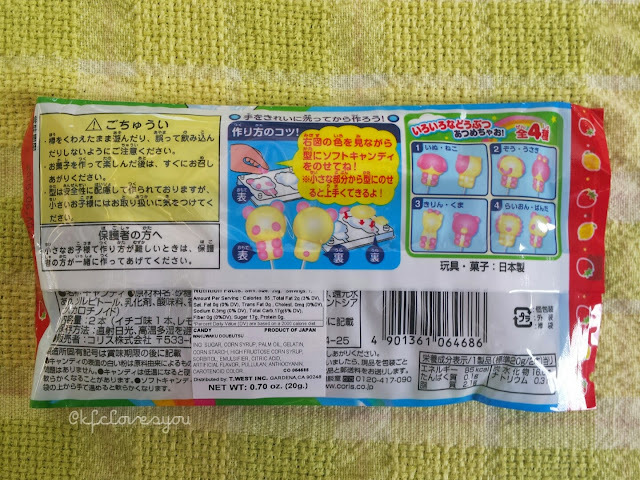 At first I thought these were going to be gum because of the texture, but instead it is a soft chewy candy. It isn't the best candy I have had, but it isn't bad. 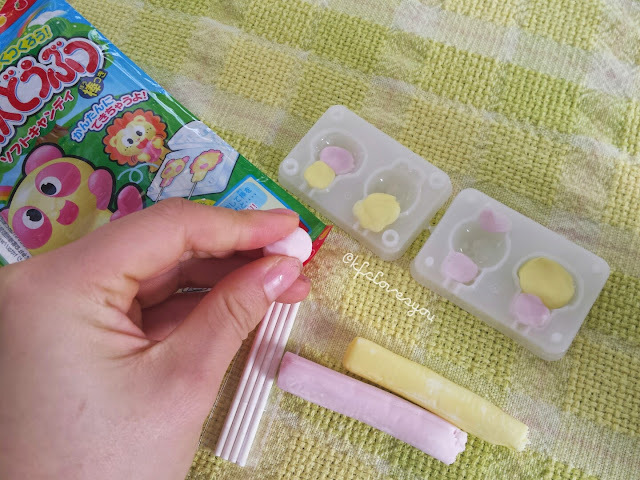 I think the yellow is a lemon flavor and the pink is a strawberry flavor, but honestly, I was more into the candy the DIY reasons. I bought this for around $2.49 at my local Asian grocery store. 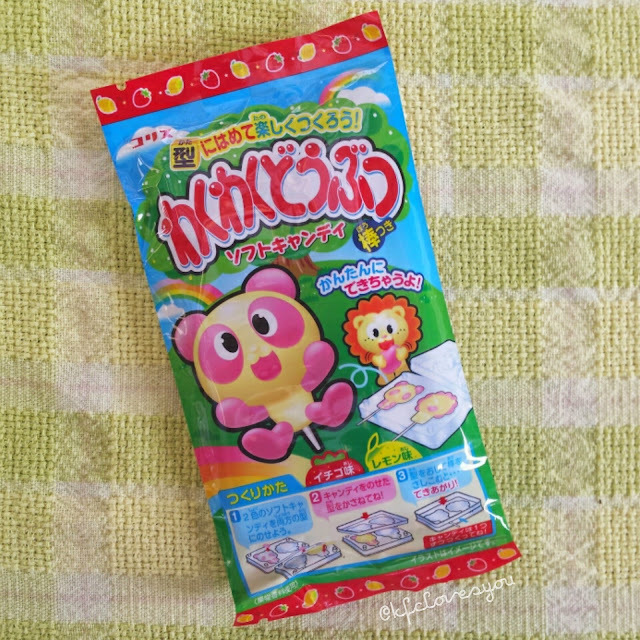 I recommend this to anyone interested in Japanese cute candies or for children (who are old enough) for little projects during a play date or something. 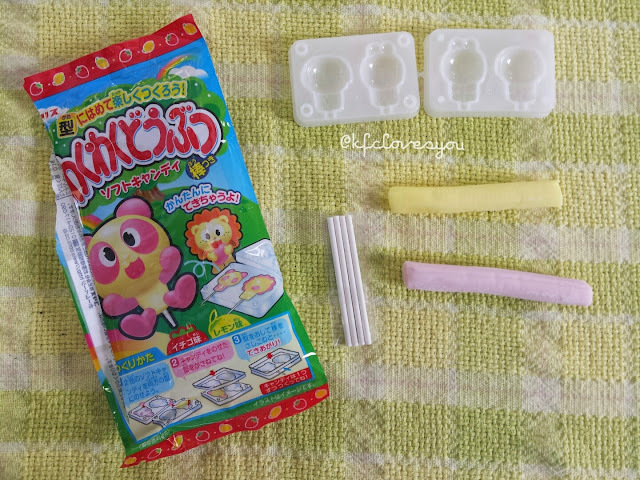 Readers, do you like Japanese candy? 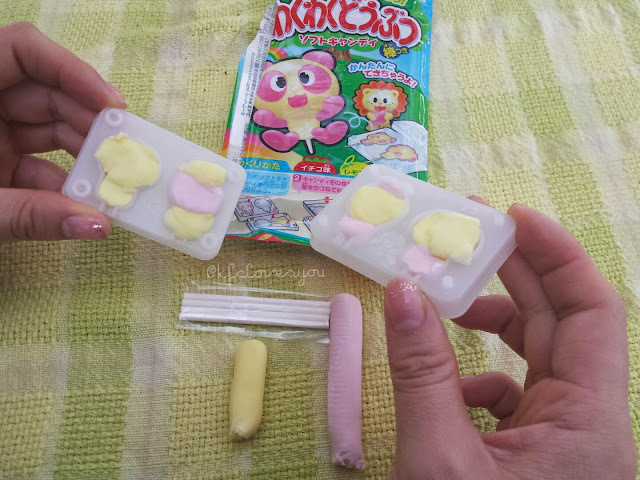 Have you ever seen DIY candies before? If so, what are you fovorites? Thanks Jade =) I will definitely come and check out your blog soon!